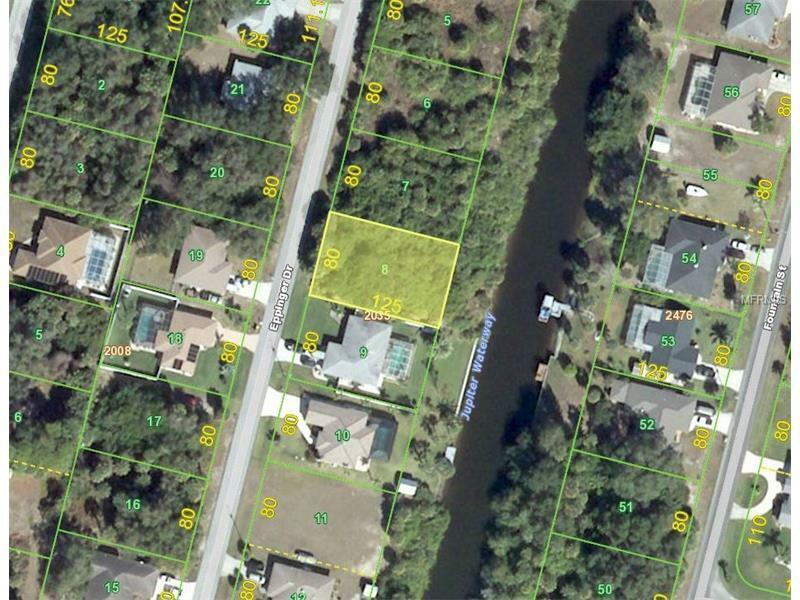 SALTWATER CANAL LOT!!! No Scrub Jays! No HOA!! New construction is everywhere we look and you can be part of the action!! Park your boat in the Jupiter Waterway in the back of your property. Take Jupiter to the Appolo Waterway and on out to the Myakka River and Charlotte Harbor and the Gulf beyond. City water is available! Don't wait till prices soar out of control. Information about local builders is available upon request. Also great for self directed IRA's, 401K's and other investment portfolios. Plan your future in paradise now! !